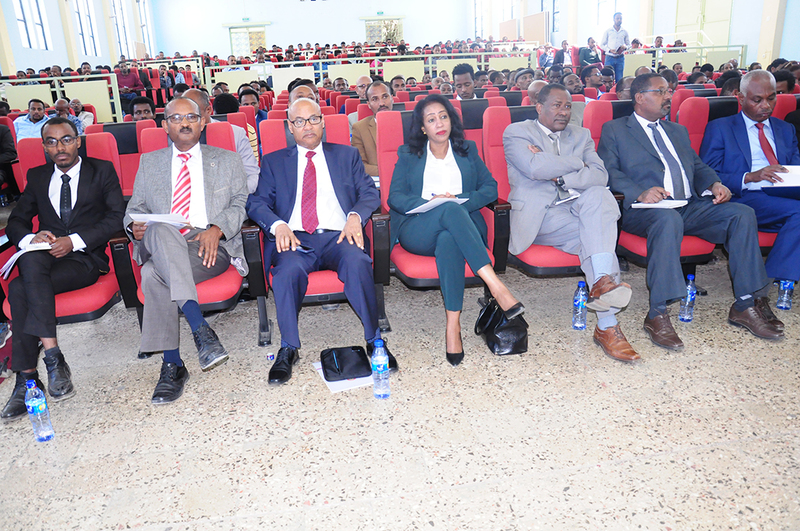 Addis Ababa University together with Ministry of Peace organized peace conference on January 12, 2019 at College of Business and Economics Hall. The conference intended to provide platform to students and the university communities to exchange ideas, experience and knowledge on mechanism of accommodating diversity and promoting culture of peace and tolerance. In his welcome speech Prof. Tassew W/Hanna, AAU President, said that we are honored to host such an important and timely peace conference here in our university. Peace has always been among human’s highest values, said the president; there is no way to realize and sustain development without peace and security. Prof. Tassew went on saying as higher education institution, we strongly feel that peace is a prerequisite for sustainable development; in a diverse country like Ethiopia, looking for appropriate mechanism to accommodate our diversity and promoting the culture of tolerance and peace is one of the greatest missions. 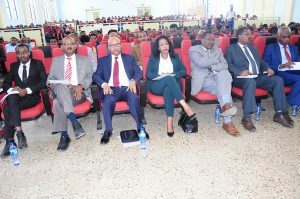 In her opening remarks Almaz Mekonnen, State Minister, Ministry of Peace, also said that as higher education institutions are home for all, scholars need to play special role in promoting principles of merit, solidarity, fairness, impartiality, and accountability to the student for sustainable peace and stability. There is no any precondition for peace, said the minister, without peace it is impossible to realize development; our diversity is our beauty. High profile personalities and government official attended this important and timely conference. Renowned AAU scholars presented scientific papers on promoting pluralism and coexistence; cultures of peace in institutions of higher education and resolutions of conflicts in institutions of higher education. The conference also features plenary session.